There are a lot of legitimate reasons to get mad. The truth of matter is, however, that getting mad rarely serves any particular purpose. All it does is stress people out. It is better to just let the anger go. There are images on the internet that might make you mad or irritate you, but you should not let them. There is no real reason to get angry. Here are fifteen examples of images that might irritate you a bit; they probably should not, though. Actually, some of them are quite amusing, so they should be enjoyed for that reason. This is an amusing picture, true; however, it is my understanding that the dog did not do a very good job, which is upsetting. Considering all of the free food and treats we give them—not to mention the clean water and warm places to sleep—dogs really should be trying a little bit harder if they agree to help us with our lawn maintenance. 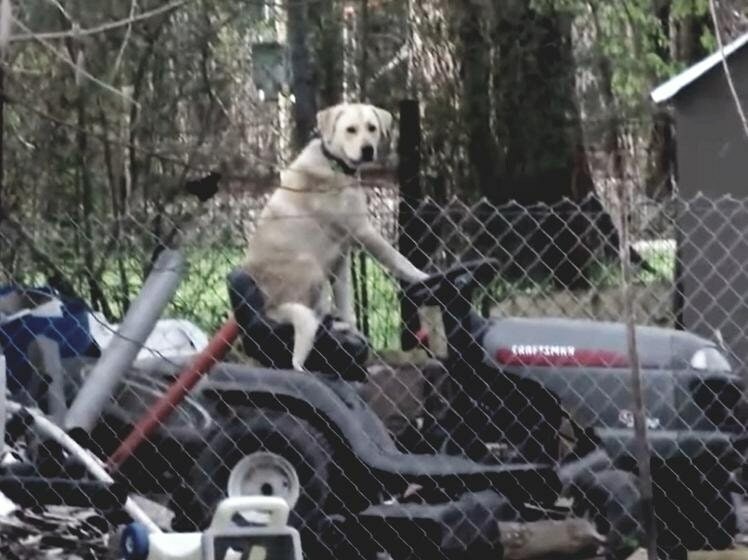 The dog has good taste in riding mowers, though. Craftsman is a great brand—which is why it has existed for over 90 years. The brand was originally owned by Sears; it is now owned by Stanley Black & Decker. The deal was made in 2017. There is something about this peculiar hamburger statue that irritates me, and I really do not know what it is. 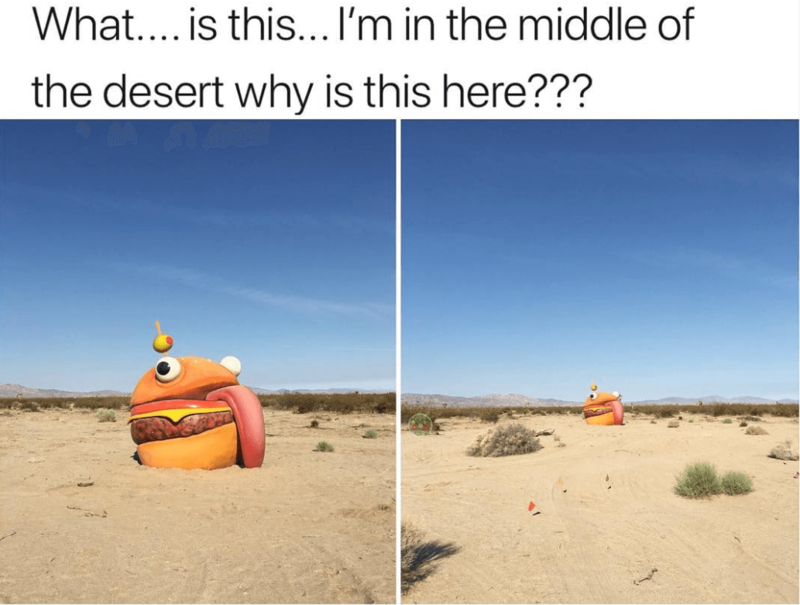 I have no idea why it is where it is, for one. What could it be advertising? It does not seem as if there are any roads or buildings around, so that is weird. The olive at the top is also kind of strange. I personally love olives, but I don’t associate them with hamburgers. Also, what is the deal with the tongue? I certainly don’t like to think about my meal having a tongue. I know that cows have tongues and hamburger comes from cows, but it is still a pretty gross thing to think about. Those eyes also make the burger look totally insane. It is perfectly obvious why this image should—and probably does—make you mad. The dog looks comfortable, sure, but it also sort of blends into the color of the road. There is almost no way that a car would see it, which means the poor pooch could get hurt, and that would be absolutely horrible. I am angry at the photographer of this image. He or she should have done what needed to be done in order to properly protect the pup. 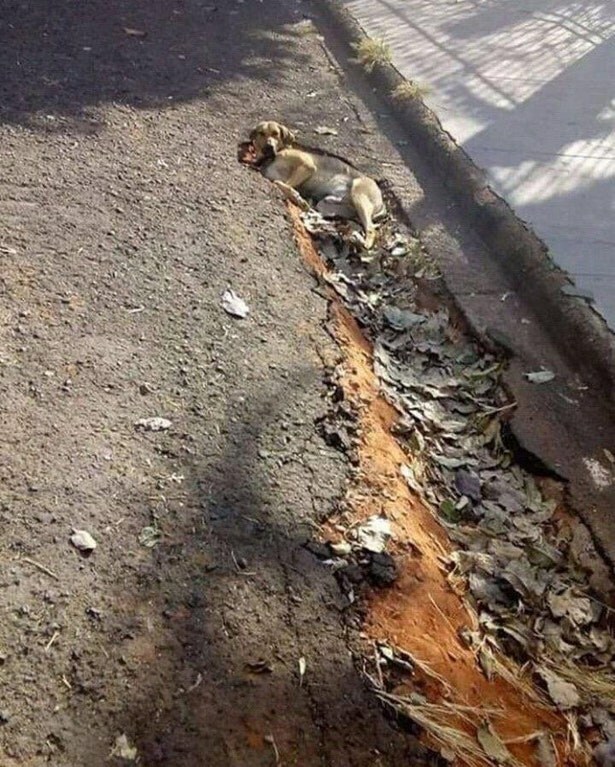 Hopefully, the dog was moved right after this picture was taken. I also hope this pothole isn’t on a busy road. 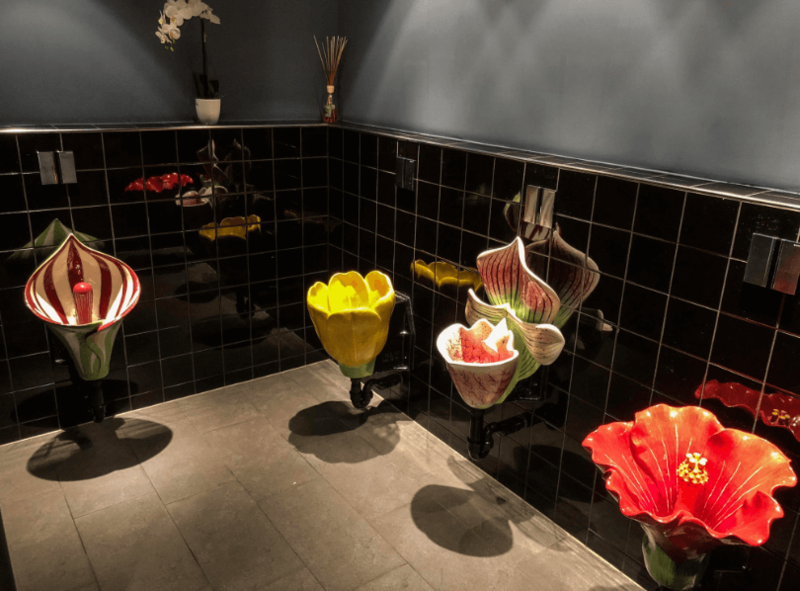 These are truly gorgeous urinals. They are practically works of art. Who buys such fancy things in which to pee? The urinals look like they belong in an art gallery, really. I’m sure the customers appreciate them and all, but the urinals sort of make me angry. I don’t want to pee on or in art. Someone obviously put a lot of time and effort into designing these lovely things. Don’t get me wrong; I certainly support urinals looking nicer than they generally do. I just do not think they should look that nice. If your urinal looks like it belongs in a museum, someone probably paid too much for that urinal. It is a nice-looking bathroom, though. I have no idea where it is, sadly. I am guessing it is a restroom at a very posh and expensive restaurant. I have used several public bathrooms in the course of my life; therefore, I have read a lot of nasty graffiti over the years. If you are using a restroom at a tavern, you should expect to be horrified by the things people choose to write. That’s just a sad fact of life. People tend to write a lot of things that are not so nice. Unless you have a really thick skin, you will probably get offended. Canadian graffiti is, apparently, a bit different. In Canada—if this image is to be believed—people write nice things for other restroom users to enjoy. 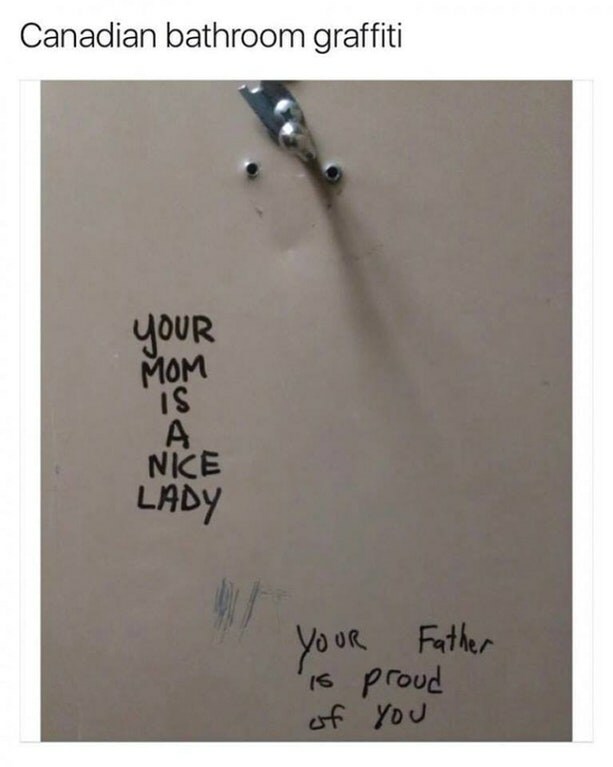 In the United States, you rarely read nice things about your mother or your father on restroom walls. Wouldn’t it be great to read “your father is proud of you” while you are doing your business? Also, your mom probably is a nice lady. Thank you, Canada, for showing us how things should be done. The woman in this image is begging for money, which is fine. People fall on hard times, after all. Jobs aren’t always easy to come by. This woman’s claim is a bit egregious, though. I sort of prefer it when the beggars are totally honest. This woman is clearly lying. 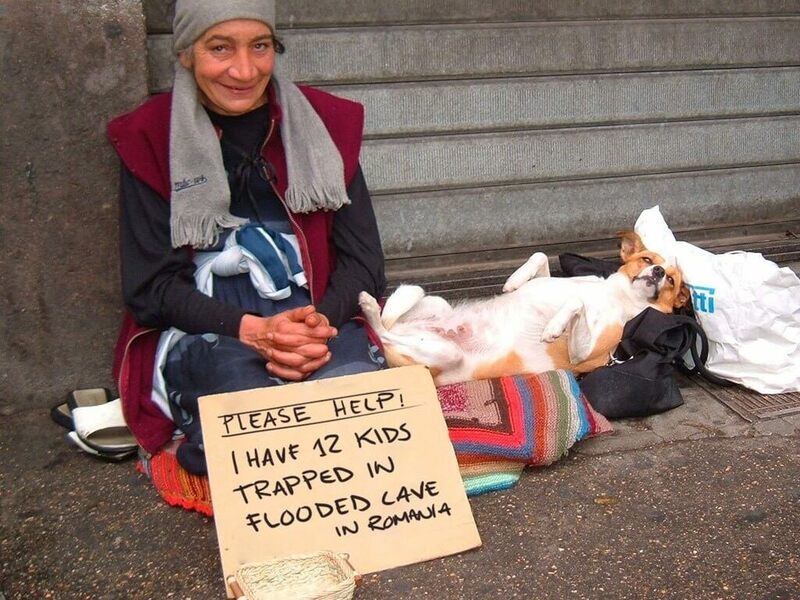 There is no way that she has children in a flooded cave in Romania. There’s definitely no way she has 12 kids. Why would the kids go into a flooded cave? Also, I can’t figure out why the dog is there. Really, all things considered, that looks like a pretty healthy dog. If you can afford veterinary care for your pet, you probably don’t have drowning children in Romania. The thing that makes me mad is that there are probably a lot of people who fell for this sob story. 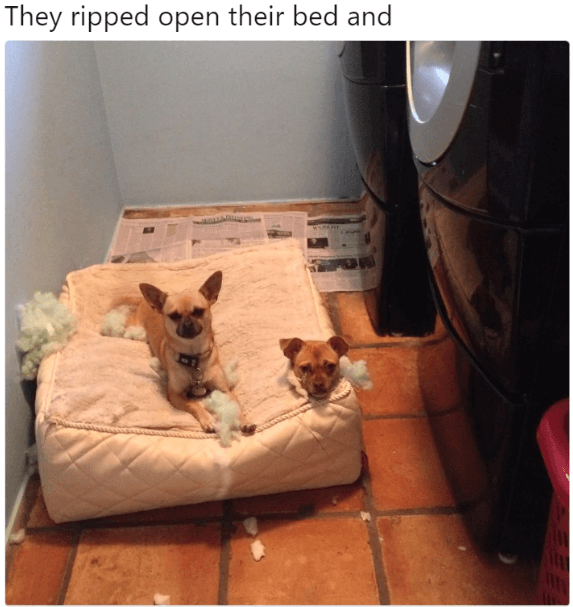 These dogs definitely did a number on their little bed. They ripped it open, and there is just no way it will be able to be repaired. Fortunately, the dogs are really cute. If they were not so adorable, the owner would probably be a lot angrier than he or she is. Dogs, especially when they are on the younger side, are destructive. If you get a puppy, you pretty much have to expect the dog to do several hundred dollars of damage—at least—to your personal property. I have a little dog, and he’s a menace. He has destroyed a pair of sunglasses, a really nice table, two t-shirts, several socks, and an XBOX controller. He also peed pretty much everywhere in the house. The dog is extremely lucky I am particularly fond of him. 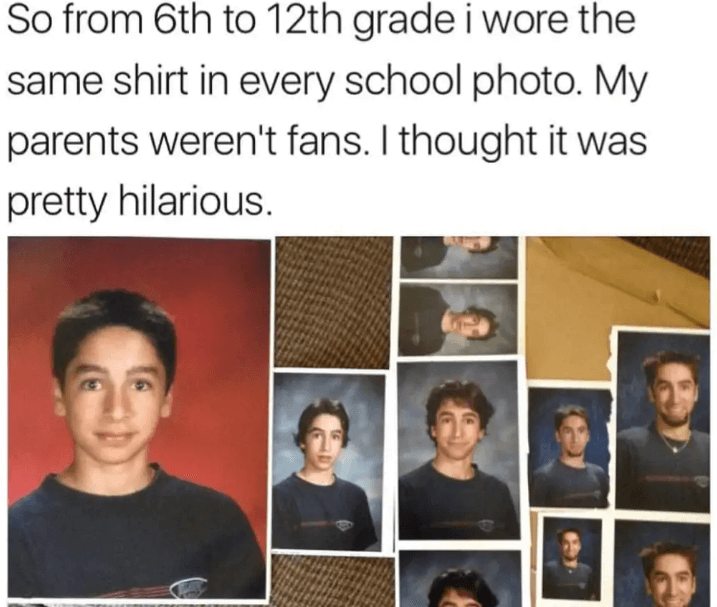 This kid decided to wear an identical shirt every year for his class photos for several years, which is kind of funny. I have no idea what prompted this little prank on his parents, but he did it. I suppose it is possible that he didn’t think his parents would notice. There are a lot of parents out there that probably would not have noticed. If you’re the parent in this case, you have every right to be mad. School photos, for whatever reason, are surprisingly expensive. It would be hard to stay mad, though; the parents at least have to acknowledge that their kid has a good sense of humor. You kind of have to appreciate how the kid’s hair changed over the years. 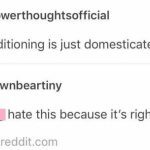 There are a couple of styles that aren’t so good. Honestly, the thing that makes me mad about this particular tattoo is that I did not think of getting it. 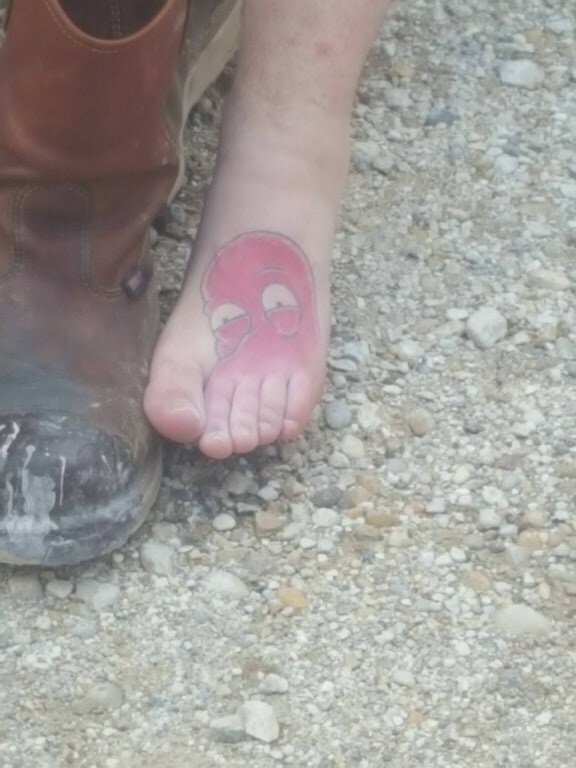 Can you imagine how cool it looks when the owner of this tattoo wiggles his or her toes? In case you are not familiar, the tattoo is of Zoidberg, who is a character from the show “Futurama”. The character is a doctor, and he is not a very good one. He is a very funny character, though. “Futurama” is an animated sitcom that was created by Matt Groening, who also created “The Simpsons”. There were seven seasons of the show. The finale of the series, which won six Emmy awards, aired in the fall of 2013. The truly irritating thing in this case is that you can’t purchase cereal straws anymore—at the very least, I haven’t seen them available for purchase in quite a while. According to my research, they were discontinued in 2009, which means that people haven’t been able to buy them for close to a decade. 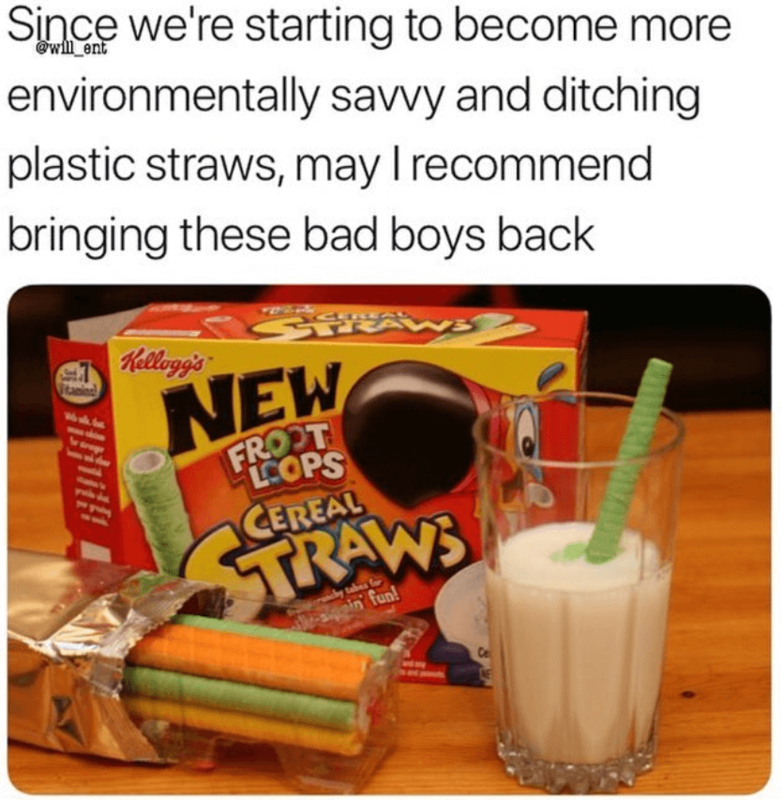 The cereal straws were truly ahead of their time, and it almost seems insane that we still use plastic straws when we can use ones that taste delicious and can be eaten. Also, Froot Loops is a great cereal. People have been enjoying the cereal—which is produced by Kellogg’s—since 1963. The cereal has been referenced by several television shows. For example, it is the favorite cereal of the children on the sitcom “The Middle”. It was also well-liked by Archie Bunker on the sticom “All In the Family”. 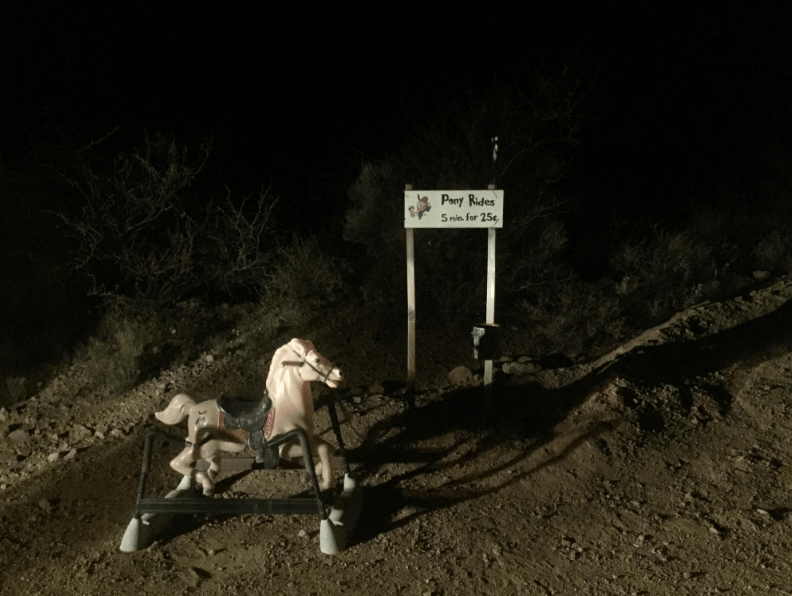 For reasons that probably make no sense, there is a rocking horse in the middle of nowhere. 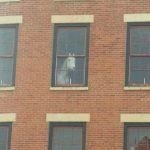 Why is it out there? The price to ride the horse is pretty reasonable, honestly, but I can’t imagine it gets a lot of customers. Five minutes for only 25 cents? That really is a bargain. It looks like a fun way for kids to spend a few minutes, but who would bring their kid there? The fact that the picture was taken at night makes the whole thing a lot creepier. I don’t know exactly what this guy is doing. 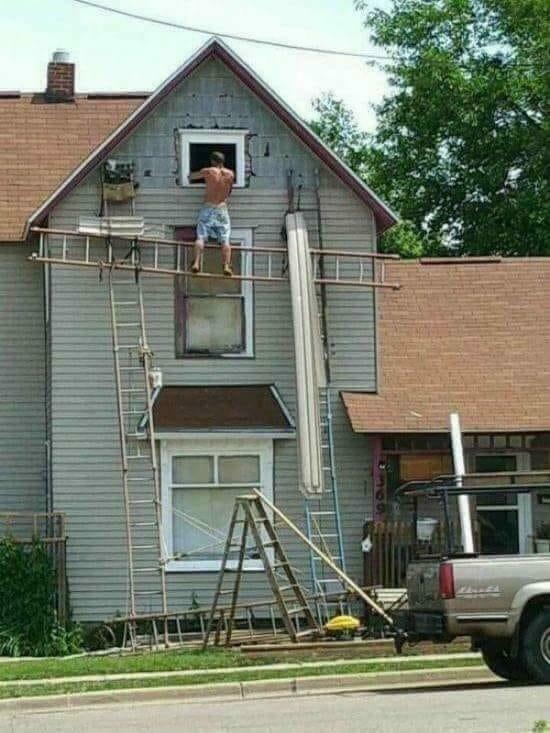 It seems as if he is trying to fix a window. That house definitely needs a lot of work. The whole setup has me sort of concerned for the guy in the image, though. He is not wearing any safety equipment, and that whole thing does not look particularly sturdy. I just hope he managed to get back to the ground safely and in one piece. 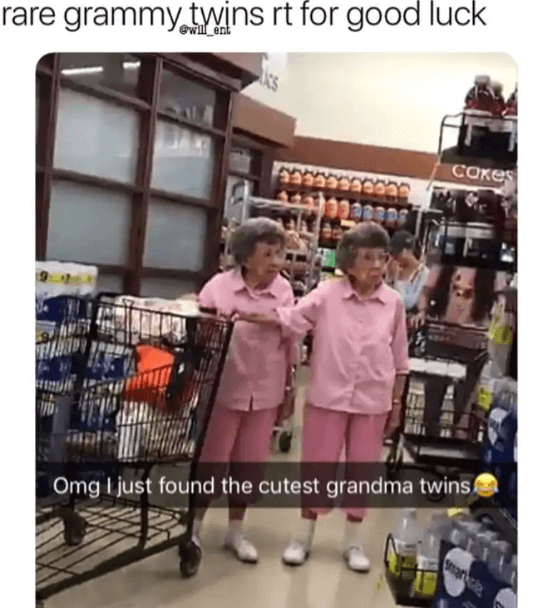 I am mad because I don’t have these twin grandmothers in my life. 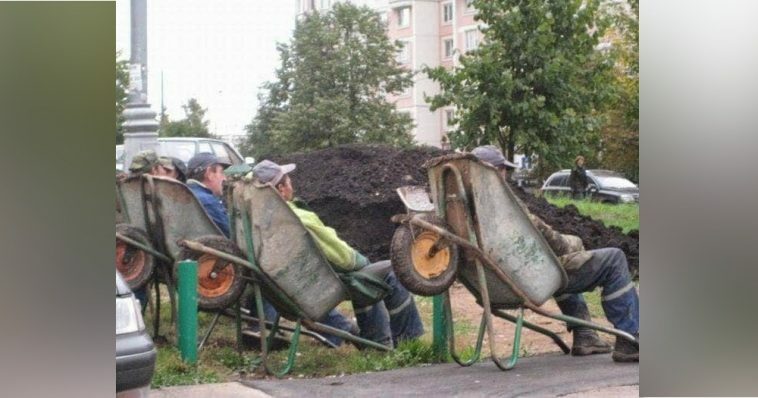 I would love to hang out with them and hear their stories. I find it extremely charming that the two women are wearing identical outfits. They must have a very close relationship. Twins aren’t particularly common, but they have become more common in recent years. Currently, only about one percent of births are the result of a twin pregnancy. The increased rate of twin pregnancies is largely due to the increased use of fertility drugs. Interestingly enough, twin births occur more commonly in women between 30 and 40 years of age. They are also more common if the mother has given birth before. I’m not sure the people in the image really know about the bags they are holding, but there is nothing wrong with this image. 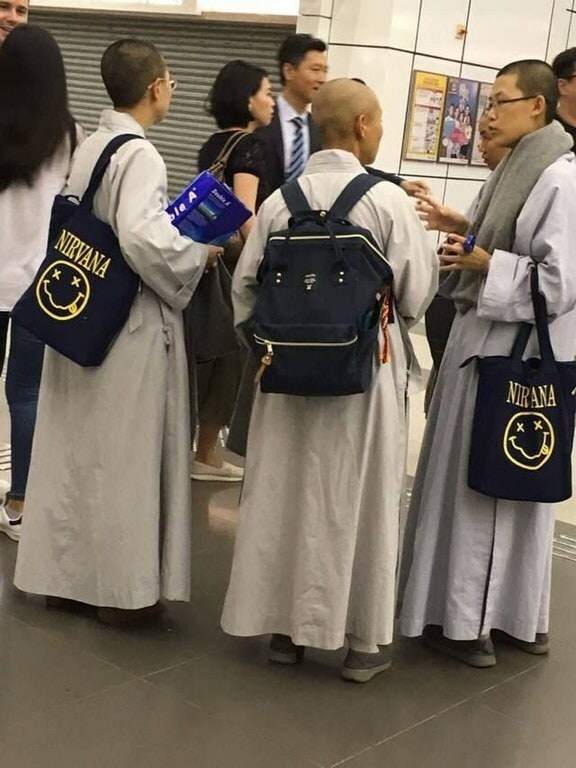 Nirvana was a great band, after all. The grunge music band was extremely popular for seven years. While the band dissolved as a result of the death of Kurt Cobain, it still has a very popular following. Install our FREE Android APP. © 2013 - 2017 Facts WT. All rights reserved!